Jason’s Deli, a gourmet sandwich shop with wholesome ingredients and a large salad bar, serves guests in 260 delis in 29 states. Family owned and community focused, Jason’s Deli prides themselves on providing wholesome ingredients and were one of the first restaurant groups to remove artificial trans fats from the company's food, including processed MSG, high-fructose corn syrup, dyes and artificial flavors. Headquartered in Beaumont, TX, Jason’s Deli has celebrated over 40 years in business. 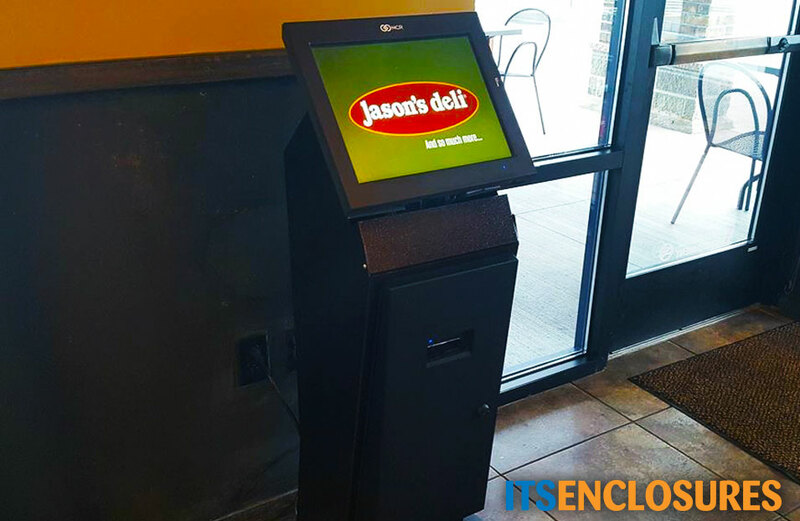 In the summer of 2013, Jason’s Deli contacted ITSENCLOSURES to discuss the design and fabrication of a one-of-a-kind kiosk for the restaurant’s popular salad bar. If customers want to build their own salad, Jason’s Deli sought a solution that would allow guests to skip the register line. Madison Boozer, Media Relations Manager at Jason’s Deli, stated, “The salad bar is our most popular menu option. Because the guest picks up a plate and make their own salad, there are no modifications available on this entrée, which makes it easy to order with the touch of a button.” The kiosk allows customers to avoid the main, often-busy register line during their lunch break or dinner rush. Electronics are ever-changing, so the solution needed to accommodate varying POS (point of sale) terminals for the future. ITSENCLOSURES developed a kiosk design that utilizes a VESA mount to support different sizes of POS systems. In addition, the kiosk needed to house a small receipt printer. ITSENCLOSURES developed a custom freestanding kiosk that features a sliding shelf for the printer and lockable front door for additional security. Jason’s Deli purchased a prototype for evaluation. After the initial installation was implemented successfully, Jason’s Deli began deploying units in restaurants across America. The POS system, mounted on the front of the stand, features a touchscreen display, credit card reader, and a receipt printer, enabling customers to pay right through the point of sale system. Customers have the ability to order salad, soups, drinks, and other healthy food items. In 2013, ITSENCLOSURES began deploying salad bar ordering kiosks at Jason’s Deli restaurants across the country. The stand is designed around Jason’s Deli’s existing ‘Point of Sale’ system and provides ease of use for customers to order a salad with all of the fixings, various drinks, and hot soup. The stands are installed at Jason’s Deli restaurants throughout the United States (15 states to date), including locations in Chicago, IL, Omaha, NE, Cranberry Township, PA, Jacksonville, FL, Austin, TX, and Hampton, VA. 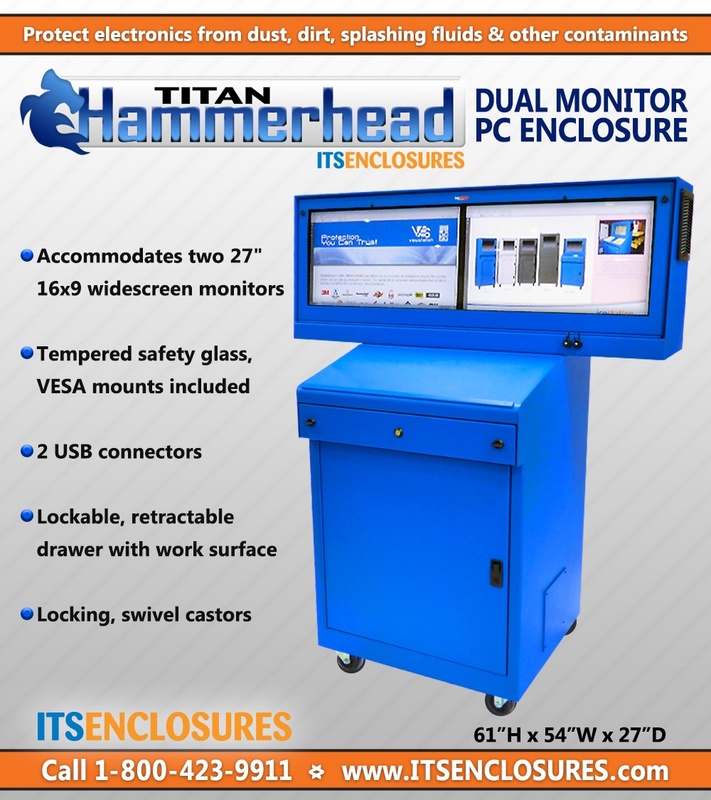 In all, ITSENCLOSURES has deployed the custom kiosk solution to over 70 locations and this list continues to grow. Jason’s Deli plans to install additional units at new store builds and remodels opening in 2017 and beyond.